Climbing mango trees in the orchard, armed with a mixture of salt, pepper, ground chiles, and roasted cumin; picnicking in the Himalayan foothills on meatballs stuffed with raisins and mint and tucked into freshly fried pooris; sampling the heady flavors in the lunchboxes of Muslim friends; and sneaking tastes of exotic street fare. These are the food memories Jaffrey draws on as a way of telling her story. Independent, sensitive, and curious, as a young girl she loved uncovering her family’s many-layered history, and she was deeply affected by their personal trials and by the devastating consequences of Partition, which ripped their world apart. 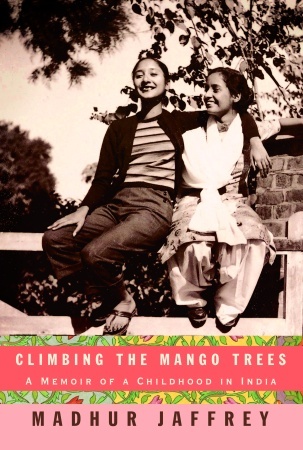 Climbing the Mango Trees is both an enormously appealing account of an unusual childhood and a testament to the power of food to evoke memory.